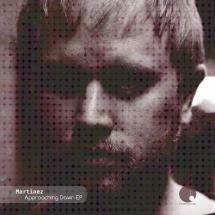 Danish producer Martinez has always had a certain way with bass. His debut Cadenza EP 'Mzuzu' in 2011 featured two cuts built around a pulsating heart of bass, and here on his second Cadenza EP he plays with the intoxicating frequency again, but this time it's dirtier, funkier and housier. If 'Mzuzu Chant' and 'Adagio' were fuel injected by bass, 'Approaching Dawn' and 'Octaves' are pure bass symphonies. The tracks remind us that, whilst bass in its raw form can be an effective blunt instrument for knocking a dancefloor senseless, when it is carefully crafted into a melody, it becomes something more potent: it gets inside your head. After all, if you want to shake the foundations of a club to the ground, you might as well do it with style. The first track 'Approaching Dawn' features loose house rhythms and short samples on loop. The whole rhythm structure is free spirited, like a smokey percussion outfit who don't mind dropping out of time occasionally if it means they can sneak in another puff of ganja. When the bass melody hits early on in the track, it doesn't let go, forever rolling through its notes like a broken escalator that rises up four steps before dropping you back down those same four steps. Yet despite the repetition, its a ride you don't want to jump off. With hi hat sprinkles and congo rattles providing added energy, 'Approaching Dawn' has a wild tribal feel at times, but its ground shaking bassline gives it an urban rave vibe. It conjures up the memory of a gritty London or Berlin warehouse rattling into the night. As the track progresses, the bassline remains in tact, like a solid and reliable clock, leaving the beats free to run undisciplined into a happy mess. The aptly titled second track 'Octaves' features a very low frequency bass melody that acts as a musical counterpoint to some warm pad chords that play an octave or two above, guiding the track elegantly like the captain of ship propelled by his rowers below. There's a lot of speed in the bass at times, yet there is little aggression in its overall direction as the soft pads above wrap it in a warm Detroit-esque blanket. There's a deep joy to be found amongst Martinez' smart changes in pace and tone here. With its few simple elements, 'Octaves' manages to construct an absorbing dancefloor story that leave you on the edge of your seat.